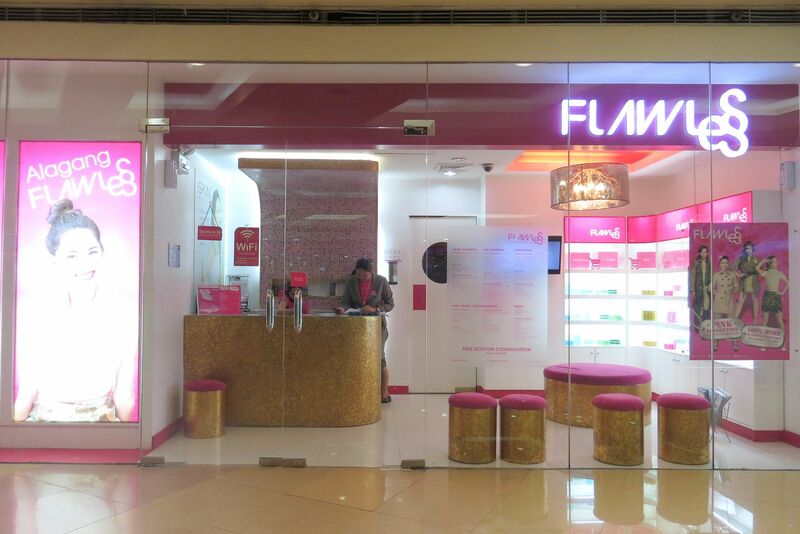 Some of you asked me to blog my current skin care so I decided to write about my recent visit to Flawless clinic. 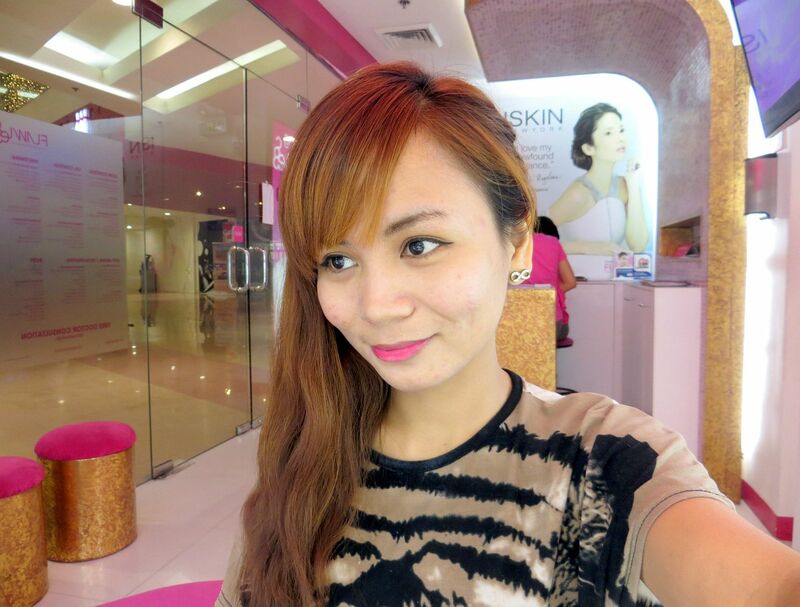 Flawless was one of the main factors why I was able to get rid of my acne breakout. 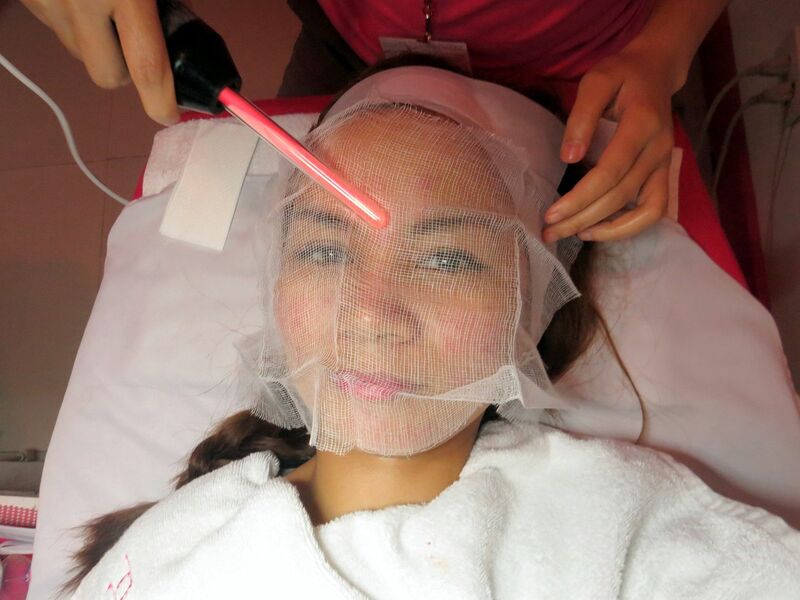 Though I don't visit the clinic as much now compared to how I did back then, I still go once in a while for face cleaning and some maintenance treatments. 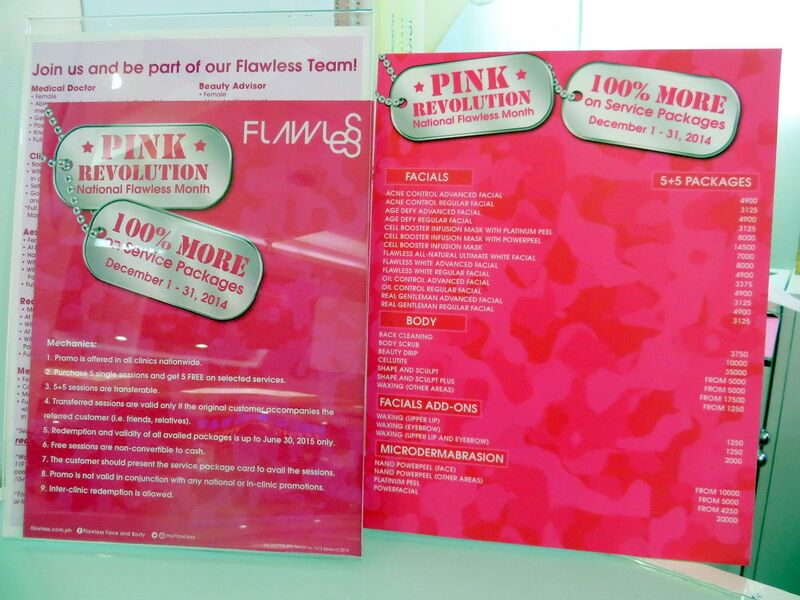 And since it's Christmas, Flawless is offering us something that is hard to miss! A 100% MORE deal! So here's the thing, if you buy 5 treatments (of the same kind) now until December 31, 2014, Flawless will give you 5 MORE treatments for free!! Say, you often go to Flawless for your a regular facial worth Php 980 per session, instead of paying Php 4,900 for 5 sessions, your Php 4,900 will now be worth 10 sessions! And the list goes on! What's even better is that this offer is valid for 6 months upon purchase and is transferable! 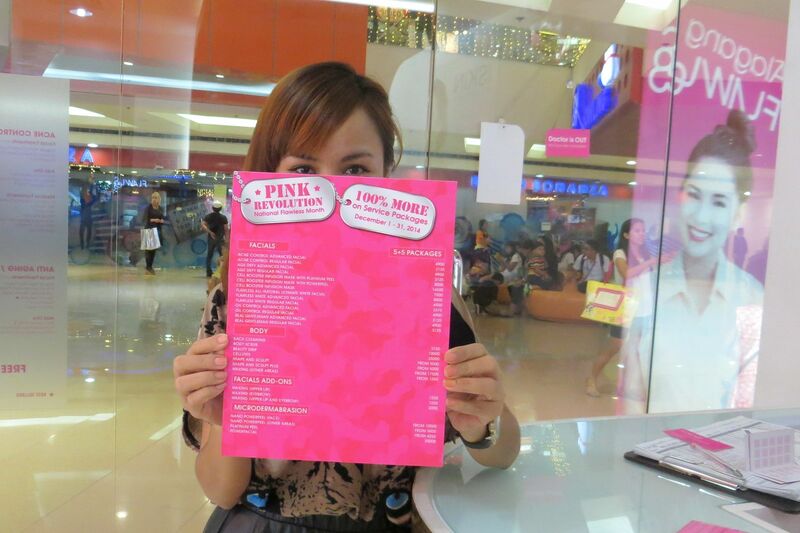 So, you and your friend could split Php 4,900 in half and still get 5 treatments each! You could also treat your whole family to a relaxing facial or any other treatment that you fancy! Run to your favorite Flawless clinic now to avail of this amazing deal! Anyway, here's what happened to my recent Flawless treatment. So, Flawless is more hygiene conscious because their tools and equipment now comes in separate, hygienic plastic case each. The customer and the facial attendant will both sign it to make sure that what they use on your face are all clean and sanitized. The treatment that I'm having this time is the Flawless All-Natural Ultimate White Facial. For this treatment, they use these all-natural products that are all made in Israel. You know what's in Israel, right? Yes, the dead sea! Hehe Sorry, I had to cover my nose in the pictures. Nostrils selfie is a no-no! The facial starts with a relaxing face massage. I love that their facial treatments now include the neck. It's true that we must also take care of our neck as it also shows signs of aging. After that, it's time for the steam. This is important, especially if you want those nasty zits and pimples to be pricked. Some people don't like pricking as it hurts and leaves some red marks. But I like it because my skin feels so much cleaner and clearer after it! Time to prick 'em zits! 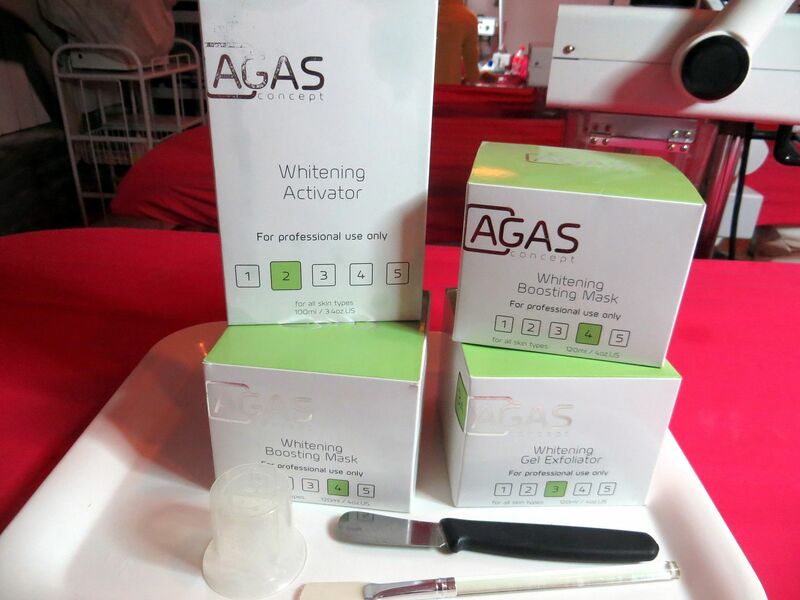 To minimize redness, your skin will now be quickly lasered. What's good about this facial is that it uses all-natural ingredients, leaves skin feeling fresh and has an instant whitening effect. Look at how my skin is radiating whiteness! hehe I did not apply anything on it! Oh, look! It's Maxene Magalona behind me. My attendant said this treatment is what she often gets at Flawless. No wonder her skin is so smooth and fair! 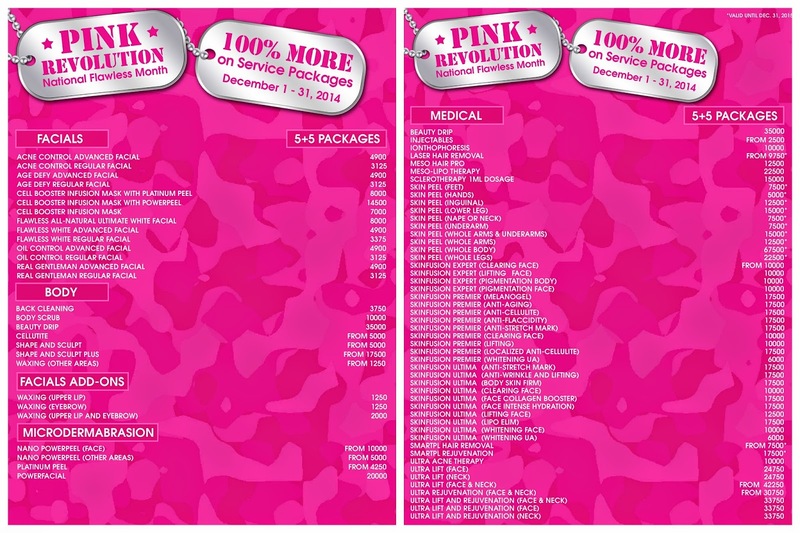 Be sure to head over to the nearest or your favorite Flawless clinic now to grab their 5 + 5 PACKAGE! Same amount of money for 5 sessions but you get 10 instead, valid for 6 months upon purchase and is transferable!